the ‘Dance schools’ division is offered for crews where dancers attend different schools. NZCAF has been running dance competitions for school aged children for over 14 years, and is dedicated to supporting dancers and crews across New Zealand. 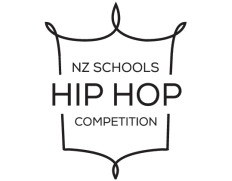 The competition has a strong emphasis on participation, while encouraging the latest Hip Hop styles and trends through it’s judging criteria and judge education. NZCAF is a registered non-profit organisation governed by a committee of volunteers that include secondary school teachers, coaches, parents and internationally qualified judges. With the help of regional representatives across the country, NZCAF provides an active support network for crews and their supporters.